Regardless what type of vehicle you are driving, it is nowadays taken as standard that you have an up to date GPS system. This is the case not only with cars but also motorcycles. For your guidance as well as the comfort of knowing your bikes location at all time, it has now become a prerequisite of bike ownership. 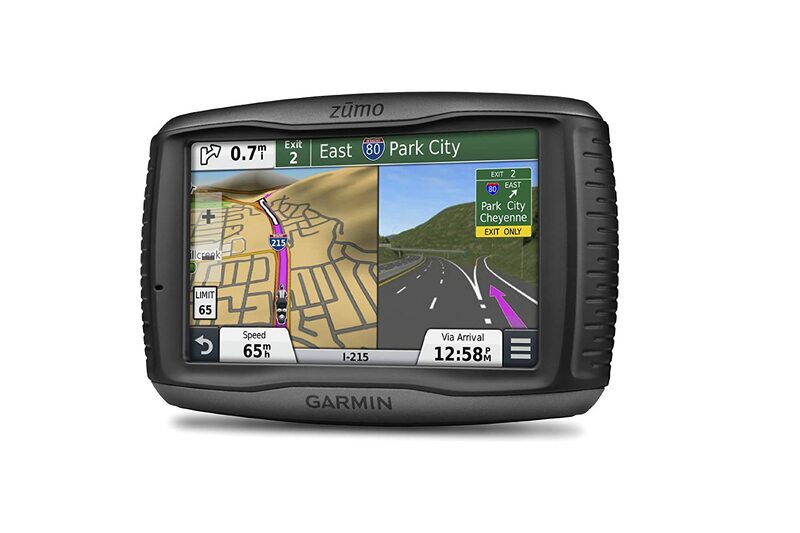 The latest model we will analyze is the Garmin Zumo 590LM. 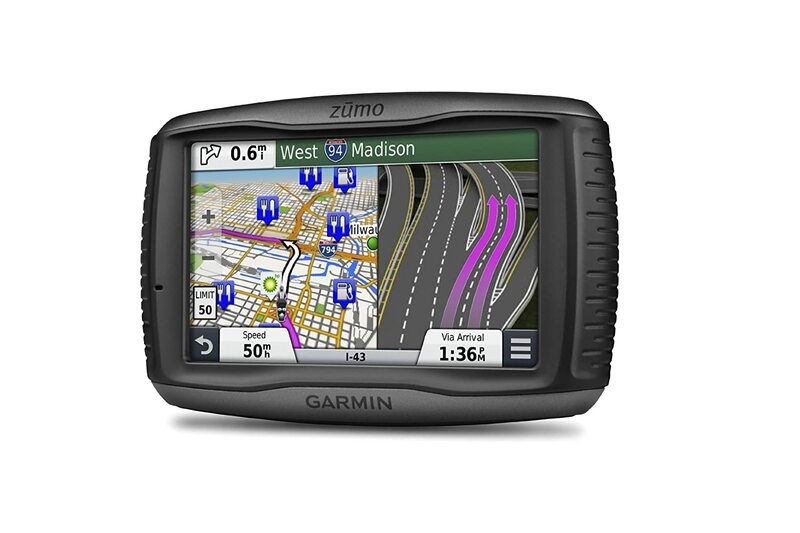 Garmin are a leader within the GPS industry and most predominantly in the motorcycle GPS area and the 590LM represents a substantial step up from predecessors in terms of quality and features which we will take a deeper look in to. With its fabulous 5” dual orientation display, this model boasts a larger screen than many others on the market for convenient and crystal clear viewing on the move. This is also especially useful when navigating the screen whilst wearing gloves. The increased screen size allows for more freedom of movement and is also very responsive to even the thickest of gloves. These features can help put a riders mind at ease, knowing that despite the situation, they will remain on course. Exposure to the elements is a given in terms of a motorcycle GPS. The Zumo 590LM stands up well to all of these. It is waterproof and highly durable. This means that as well as its waterproof capabilities, it is also UV and fuel vapor resistant. Both are great advantages when it comes to a GPS, since they will likely encounter a much tougher environment than their in-car counterparts. In terms of direction, the Zumo 590LM avails of a “Real Directions” feature, where, instead of using non-descript distance announcements which you hear from many systems and quite often irritate as well as confuse the rider, your directions will be based on actual street names and landmarks. This can be of fantastic help, especially to the directionally challenged and allow you to focus more thoroughly on the road instead of constantly searching for turns by distance. 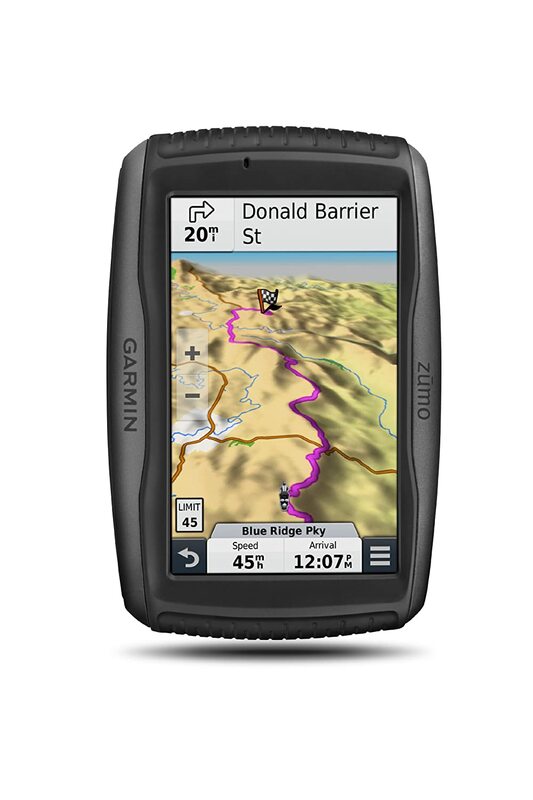 Being from the Garmin LM series means that this model also comes with free “Lifetime Maps”. Constantly updating roads and surroundings make this a key requirement for navigation these days, ensuring that you maps keep up to date automatically with the latest changes and that your pocket is no lighter for this feature. There is also a wealth of information provided to the user in regard to points of interest, such as restaurants and fuels stops, a great help in maintaining awareness of your surroundings. All of this information, including your real-time directions can be communicated directly in to your helmet, courtesy of the Zumo 590LMs Bluetooth technology. This is an added bonus to ensure that you can stay fully focused on the road while receiving all the required information. The feature laden Zumo 590LM also encompasses an MP3 player which can easily be synched with your iPhone or iPad device and streamed directly into your helmet. With the best speakers this makes a perfect feature for music lovers to listen to their favorite tracks with ease while biking. The playlist and other music features again can all be operated by using the easy touch display screen. Again, this feature proves that convenience and comfort are top priorities for the Zumo 590LM. One of the more nuanced and rarely seen features which is unique to this model and will most certainly excite the avid bikers among us is the “Curvy Roads” feature. This routing technology allows the rider to select the route with the most twists and turns. By availing of this feature, the rider can be provided with the most unique and exhilarating possible from their route. This feature is a true game changer and enables the Zumo 590LM to be about much more than just speedy and accurate directions. Not only does the 590LM provide that but it also heightens your overall riding experience, a first for any GPS. Another in the long list of helpful features provided by this model is that you can specifically program it with exact information about your required route, time or distance and as it does in many other areas, the 590LM will take care of the rest. This give you the extra freedom of mind to enjoy the journey and the wealth of features on board this device. A final feature of note in the Zumo 590LM is the very convenient, service history log. This allows you to keep an instant and detailed history of any changes to your bike. This can serve not only as a helpful reminder when you need to get a service, but is also a fantastic source of confirmation to a prospective buyer if you ever decide to sell your motorcycle. Overall the Zumo 590LM is a wonderfully sleek, easily accessible, large-screened device which is packed to the brim with excellent, cutting edge features, some rarely seen among the competition. Garmin tried to produce a beautiful, bold and forward thinking device and have certainly succeeded. This model is streets ahead of previous models in terms of functionality and its intuitive navigation system makes even the most complex journeys seem simple. This is the perfect investment for a passionate biker who wants to spend comprehensive time in the saddle and also values technology and an in-depth appreciation of their surroundings. Due to its large screen size, it may be best suited to large bikes so as not to obscure any instruments. Considering its wealth of features and advancements from many of its competitors in terms of technology, performance and convenience, the Zumo 590LM is well priced. It delivers on all areas including style and durability as well as the core navigation itself.